Spicy Dice - Roll It! Flip It! Score It! Win It! Where should I buy Spicy Dice? We proudly defend our retailer partners and the institution of the neighborhood toy/game store. 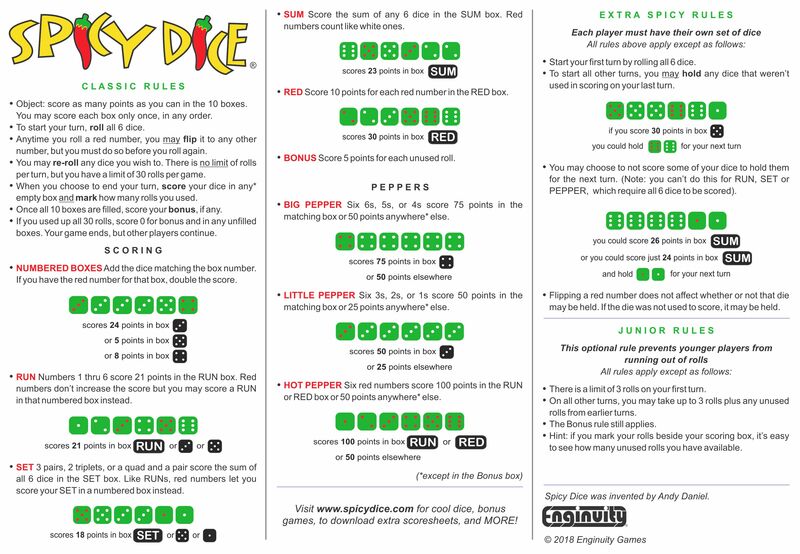 So you’ll find that our online price is the same or higher than you’ll pay in the store – and if you go to your local store you can own and play Spicy Dice today! If you don’t have a Spicy Dice retailer nearby, or can’t easily get to a store, we offer the complete line on our website as well. 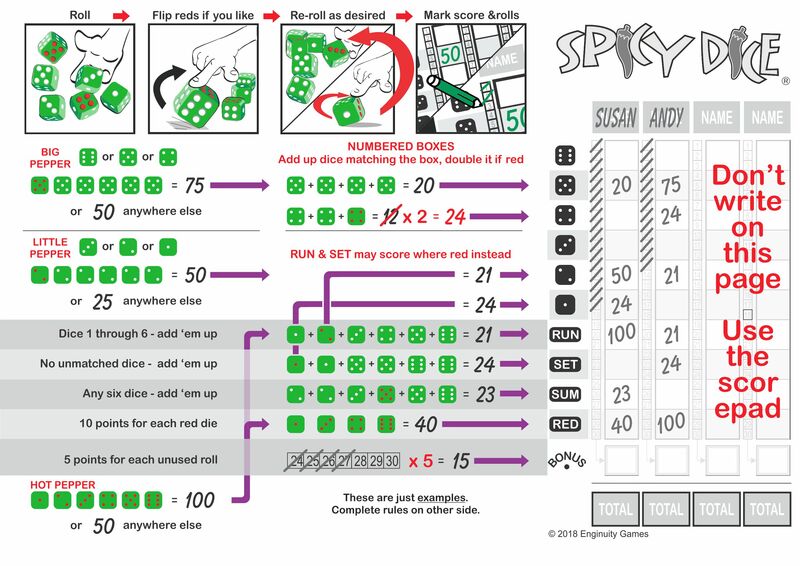 Spicy Dice a great NEW game using our same custom dice that sold 175,000 sets of 3 previous games including Spicy Farkel from Legendary Games. 100% acrylic pearlized dice with rounded edges and rounded corners look great and roll perfectly. 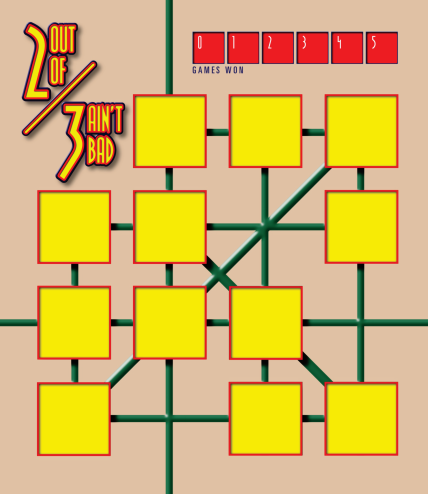 Each base game contains a set of Spicy Dice in one of four colors. Customers can choose their favorite color as all four colors are packed into the counter display. 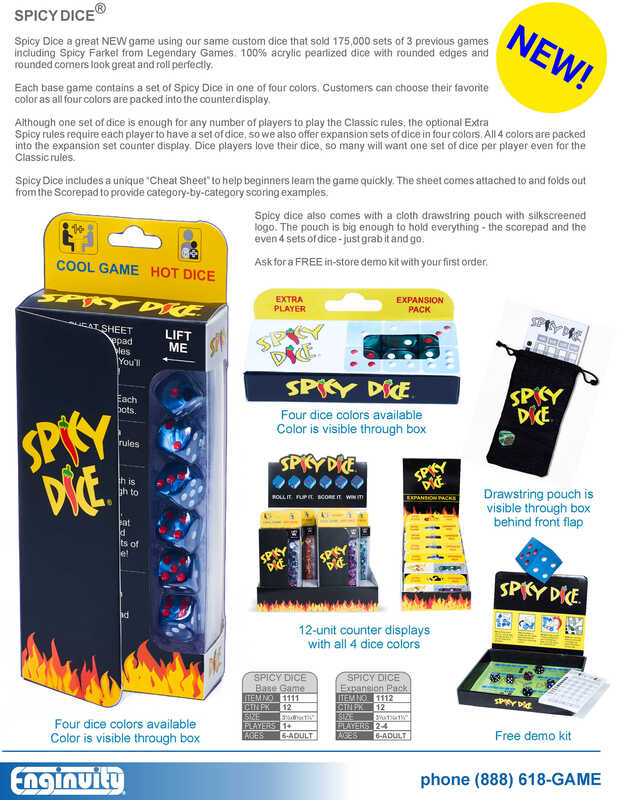 Although one set of dice is enough for any number of players to play the Classic rules, the optional Extra Spicy rules require each player to have a set of dice, so we also offer expansion sets of dice in four colors. All 4 colors are packed into the expansion set counter display. Dice players love their dice, so many will want one set of dice per player even for the Classic rules. 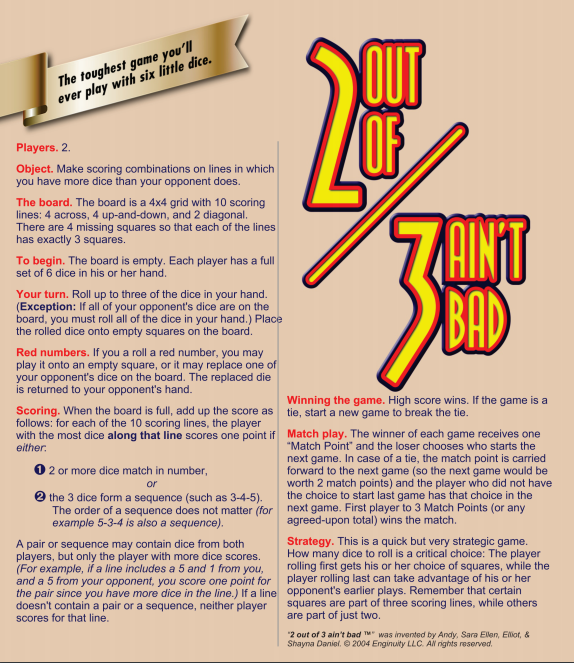 Spicy Dice includes a unique “Cheat Sheet” to help beginners learn the game quickly. The sheet comes attached to and folds out from the Scorepad to provide category-by-category scoring examples. Spicy dice also comes with a cloth drawstring pouch with silkscreened logo. The pouch is big enough to hold everything – the scorepad and the even 4 sets of dice – just grab it and go. Ask for a FREE in-store demo kit with your first order. 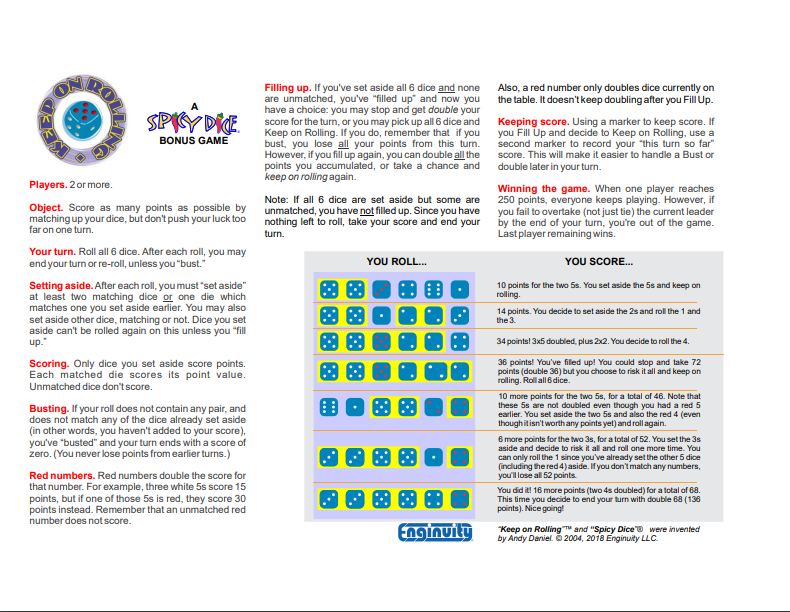 Retailers: see the Learn-to-Play video at the top of this website. You can loop it in your store (with subtitles, if preferred) - just ask!